Solidarity of Nations - Achvat Amim was created by a group of Jewish educators and community organizers who believe that we are in a critical moment of Jewish history, and that what happens in Israel and Palestine with respect to the conflict and relationships between peoples is an essential challenge for us to take up if we want to honor our traditions of tzedek (justice), shalom (peace), tikkun olam (repairing the world) and achvat amim (solidarity of nations). We believe in self-determination for the Jewish people and for all peoples. We are deeply connected to Israel, and we recognize the deep challenges facing Israeli society today. We know that the reality of conflict is complex and we are not afraid to deal with it honestly and deeply. We are experienced community organizers, and we know that the best way to approach challenging problems is to engage people in meaningful processes of self-examination, empowerment, and relationship building, and to create the space for communities to develop shared goals and strategies for positive social change rooted in their unique identities and traditions. Rachel "Bluth" Rosenbluth is a spiritual seeker, community organizer, permaculture enthusiast, and niggun singer. Growing up in Canada, and now living in Israel, she is dedicated to building meaningful, spiritual and sustainable Jewish communities. She currently spends her time learning halachah, gamara and chassidis in Jerusalem at Beit Midrash Har’el, Yakar and Simchat Shlomo; leading Kabbalat Shabbat on the beach in Tel Aviv; bringing people together for spirited Jewish gatherings around the globe. Bluth created and directs the Jewish spiritual track of Achvat Amim, which runs in addition to the central Achvat Amim program. ​Graduating from McGill University with a double major in Environment and Development as well as Buddhist studies, she worked as the Director of Education for Shoresh Jewish Environmental Programs in Toronto. She has studied at Pardes, Mechon Hadar and Matan Women’s Institute for Torah Studies. She has had valuable experiences doing environmental field research in East Africa, and volunteering on sustainable farms in Israel and in Kenya, where she bolstered an interest in spiritual, personal and community development. Bluth hopes to learn deep Torah, explore the world, and share Judaism as a path of mindful and joyous Avodah and tikkun. L’chaim! Vallie is an activist and educator living in Jerusalem. She has always been drawn to informal education, first becoming a participant of Without Walls programming in high school. Benefiting from democratic, participant driven learning led Vallie to become an educator herself. Growing up in an interfaith household in New Jersey, Vallie didn’t engage with her Jewish identity until she found her way to the Hashomer Hatzair movement where she quickly became a leader, and eventually the National Director. Vallie moved to Israel in 2015, a year after her participation in Achvat Amim’s inaugural cohort. 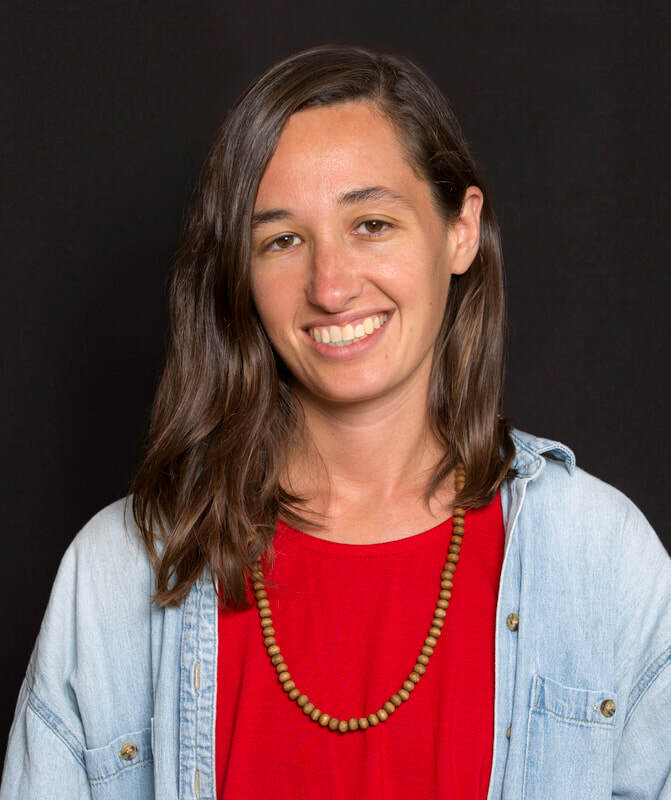 Currently Vallie is an organizer with the All That's Left: Anti-Occupation Collective, and the co-organizer of Birthright: Exploring Israel as a Shared Society. Vallie is an avid crafter, glitter queen, and hydration enthusiast. Vallie has a B.A. in Contemporary Jewish & Israel Studies and Middle Eastern Studies from Tel Aviv University and is working towards her M.A. in Non-Profit Management and Leadership at the Hebrew University of Jerusalem. ​Erez Bleicher is an activist, writer, and educator living in Jerusalem. He has been involved in various movements for racial, economic, and gender justice and is currently organizing with All That’s Left: Anti-Occupation Collective and as a Jerusalem Organizer with the Center for Jewish Nonviolence. He is interested in diasporism as an ethical framework of social action and in building vibrant Jewish participation in movements for racial justice in both Israel and the United States. His time as a youth educator at Beth Emet Synagogue, Habonim Dror, and DePaul University helped him to develop an invaluable capacity for communication, mediation, and listening that inform his approach to critical pedagogy, political engagement, and collective learning. As a former participant in Achvat Amim, he is deeply invested in helping to advance processes of personal and communal transformation in pursuit of a just world and an equitable future for all. Dana is an educator and activist living in Jerusalem. She is committed to critical pedagogy as a means to create a more just and dignified reality for all peoples. Since moving to Jerusalem, Dana has worked on various projects focused on youth-led education and strengthening human rights, including facilitating Hashomer Hatzair Gap Year Program, teaching at the Hand in Hand Bilingual School in Jerusalem, running seminars on Shared Society at Givat Haviva, and working at the Association for Civil Rights in Israel (ACRI). She helped found Imbala مبلا אםבאלה, a cooperative cafe and community working to build a more just and equal Jerusalem, and organizes with All That's Left Anti-Occupation Collective. ​Dana has a BA in Democratic Education from New York University, and an MA in Human Rights and Transitional Justice from the Hebrew University of Jerusalem. Beyond her professional and political pastimes, Dana enjoys making pottery, gardening, and ice cream sandwiches. Born and raised in Israel, Itamar has been working in informal education for the past 20 years. 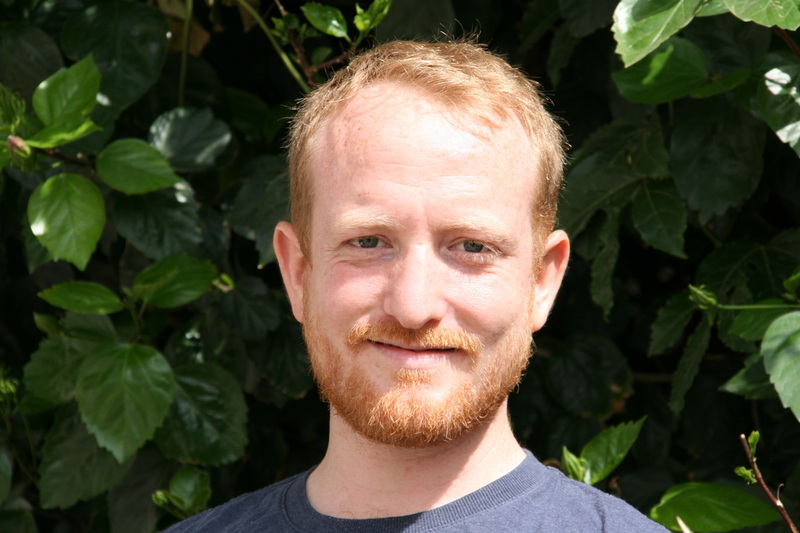 He has been involved in various educational and community projects in Haifa, Tel Aviv and the South of Israel, has worked with Israeli and Palestinian youth and has rich experience in guiding and facilitating long-term groups and program. He is an avid language learner and teacher, and has experience teaching, learning, and making mistakes in Hebrew, English, German, Yiddish, Dutch, French, Russian, Spanish, Arabic, Japanese and Aramaic.